Greetings! I was so busy recording videos while playing games, I also have work to do so I didn’t have enough time to write more posts, but right at this moment, I’ll be posting a game that I found interesting to play with (haven’t beaten the game yet). 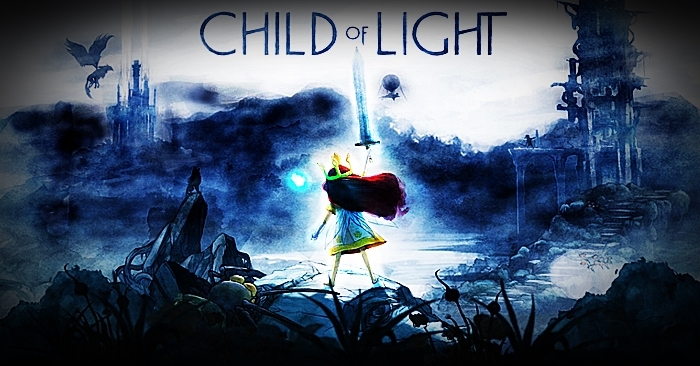 The title of this game is Child of Light, sounds interesting right? I’ will tell you more about why this game is fun and challenging to play with. Child of Light sounded interesting for me and when you look at the cover picture, it looks interesting too! don’t you agree? When this game was released 2 years ago, I made sure that this was installed in my computer, I was also happy that it did not require more than 5GB of disk space. After the game was installed, I planned on playing the first chapter of the story just to get a good run but it got me captivated and wanting to know what happens next and played a little longer. This game is a 2-D platform/puzzle/adventure/rpg game. 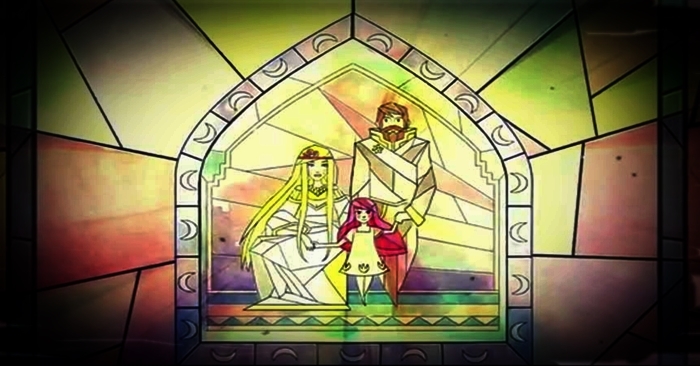 The Child of Light talks about Aurora, daughter of the Duke and Queen of Light in Austria. When night came and Aurora fell asleep, she found herself in a different place called Lemuria. She met Igniculus, a pure white light that guides Aurora in returning the world of how it should be. And as the game will progress, she will be assisted with different characters that joins her party in this mission. The game is played in 2-D, venturing through the strange place of Lemuria. It’s adventure part is where the player controls Aurora in exploring to many different areas and with the help of Igniculus that shines dark areas and unlocking chests or vaults; his light is also used for blinding enemies and the use for solving puzzles. The RPG part is when you battle enemies and have a turn-based kind of game with a little twist- Igniculus can freely slow enemy’s turn by shining on them, delaying their attacks and when you shine his light on your team it heals them per second. In addition to the RPG style, each character has their own unique abilities, own skill tree and will share the same experience points because you can only use two in every battle. The crucial part in a battle is the timing, there will be a turn-bar at the bottom of the screen where you can see everyone’s turn, you’ll need to strategize every move in order to defeat the enemy. Before going into battle you have the chance to execute a “preemptive strike” at an opponent when you shine Igniculus on them or go from behind, but when you are “ambushed” by the enemy, they make the first move putting you at a disadvantage. Controls are pretty basic, WASD to control Aurora moving through, mouse is for Igniculus (left click = shine; right click = unlocking). When in battle, the move list can be navigated by the use of WASD, Q is cancel or back, Spacebar to confirm action and E is for interaction with objects. I am just fascinated at how they add the simple details that make this game unique… I’m referring to Igniculus’ ability which helps me win a battle or sustain my team. The game’s story (even thought I haven’t finished) is great, who would thought that a princess can be so tough. The battle system is something I’d like to acknowledge too, it’s feature is great, because there are two parts of the turn bar, WAIT and CAST and when a character or enemy is attacked whilst they are casting their move will be interrupted and start from the beginning again. If you like RPG, then this is something I want to recommend to you. Here is my play… I don’t remember how I ended up on this place but I just wanted to show how the battle would be like. Enjoy!